A true classic. This watch is styled after the elegant pocket watches of the nineteenth century. 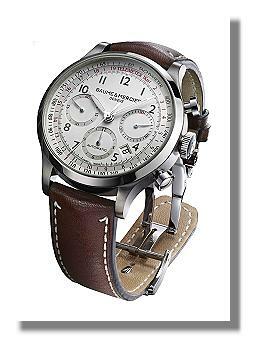 It has a steel case and a calfskin band with deluxe features including a tachymeter, chronograph and telemeter. This would be a perfect gift to my dad. But its a little too expensive for me. I have seen michele watches less expensive than this.